Liberated by the idea to create original music while shrewdly cognizant of the predetermined mandate forcing exceptional artists to reckon with scanty left of the dial airplay as compliant pabulum-puking mainstream vipers saturate commercial radio, many disparate independent-minded neophytes still continually seek such limited, yet reassuringly meritorious, exposure. 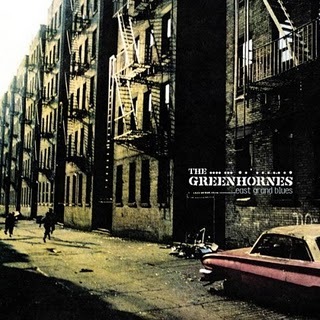 One of the best purveyors of energetic ‘60s-related garage rock, alongside Mooney Suzuki, Reigning Sound, Von Bondies, and the Dirtbombs, Cincinnati-based combo, the Greenhornes, got together some time in ’96 under similarly confounding circumstances. But thankfully, as lissome bands such as the Hives and Franz Ferdinand break beyond the constrictive boundaries of leveraged college stations and make waves on satellite radio and MTV2, numerous lesser-known talents may have larger access to broad-based audiences. In ’99, the Greenhornes debut, Gun For You, gave the gritty combo early exposure with its raw, stripped down barroom stomps. Soon, Telstar Records, a terrific Hoboken boutique label with a solid reputation (run by Maxwells’ booking agent/ supervisor Todd Abramson), signed the youthful lads. But it wasn’t the Seeds, Vagrants, Castaways, Count Five, or any specific Nuggets–related ‘60s artist that got drummer Patrick Keeler into rock’s archaic cellar-bound minimalism, but instead, heavy metal thunder. Guitarist Craig Fox’s scrappy blue collar testifying, soulful moans, and dungy riffs linger above a tousled clump of viscous beat-driven tension that’d define sundry singles and future full-length endeavors. Keeler and bassist Jack Lawrence got so much respect from fellow musical buddies they were able to make the rounds accompanying some major players, including White Stripes front man Jack White, who then introduced them to Country icon, Loretta Lynn. 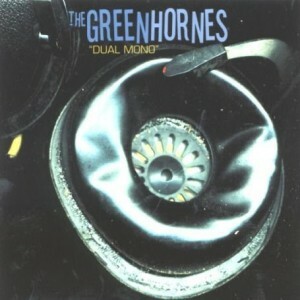 Comparisons to post-Beatles touchstones the Sonics and Thirteenth Floor Elevators notwithstanding, the Greenhornes initial self-titled ’00 Telstar entrée caught on nationally in club land, led by the brilliant primal rock authenticity of exhilarating opener “Can’t Stand It.” Evoking the Animals R & B groove on “Shadow Of Grief,” and the Doors cryptic dirges as well on “Stay Away Girl,” the formative coterie, then a quintet, also delivered a blistering rendition of Spencer Davis Group’s “High Time Baby,” arguably the set’s rousing highlight. Yet despite its crude exuberance, the balance of the album doesn’t maintain the same anxiety level or retain the sweaty excitement their thrilling live shows do. On the other hand, ‘02s magnificent Dual Mono never lets up. Lawrence’s greatest compositional contribution yet, the stimulating honky tonk anthem “Satisfy My Mind,” chugs along with a definite sense of purpose. The Greenhornes show unwavering conviction herein, successfully experimenting with increased electronic manipulation and lots of vocal reverb. Interestingly, the jet-propulsive lock-grooved instrumental “Pigtails And Kneesocks” rejoices in its Yardbirds-circa-’66 twin guitar rancor. Providing unexpectedly poignant contrast, Brit vamp Holly Golightly croons like Peggy Lee atop the haunting Rickenbacker-like slither of “There Is An End,” a nifty Lee Hazelwood inspired spaghetti Western knockoff. Though organist Jared Mc Kinney is gone and rhythm guitarist Eric Stein replaced Brian Olive, the Greenhornes preserve the archetypal rudimentary retro-rock resonance that incipiently made them semi-famous. Once more, former Afghan Whigs bassist John Curley handled production chores. Before long, Olive left and the Greenhornes carried on as a basic trio. 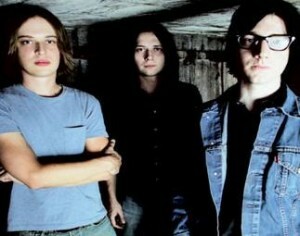 Now comes word that Keeler and Lawrence will support Jack White and Brendan Benson on a forthcoming collaborative album being credited to the Raconteurs. Keeler agrees the new tunes will mix the White Stripes blues-y scrum, Benson’s pop smarts, and the Greenhornes own scruffy garage influences. “It’s coming along good. Our touring schedules are busy, so we’re just trying to find time to get together. Brendan and Jack are co-writing the songs, Keeler quips. On top of all these current activities, the puissant twosome may record with the Yeah Yeah Yeahs trash-fashioned punk-chic singer Karen O. Fox, meanwhile, has been occupied composing new Greenhornes tunes while the rhythm section toils in divergent outside projects. Hopefully, they’ll work with Benson again, perhaps with confidante John Curly engineering, in the more familiar surroundings of Ultrasuede Studio. In the meantime, they’re trying out new songs on the road.